Following the success and popularity of the first egg hunt in 2015 which celebrated the egg Theatre’s 10th birthday, The Great Big Egg Hunt returns for Easter 2019. Residents, tourists, families and children are encouraged to search out a host of beautifully decorated eggs which will be on display all around the city centre from 13 April to 12 May. Great prizes may be won by those who submit completed maps, including tickets to the egg and this year’s Theatre Royal Pantomime, Beauty and the Beast. 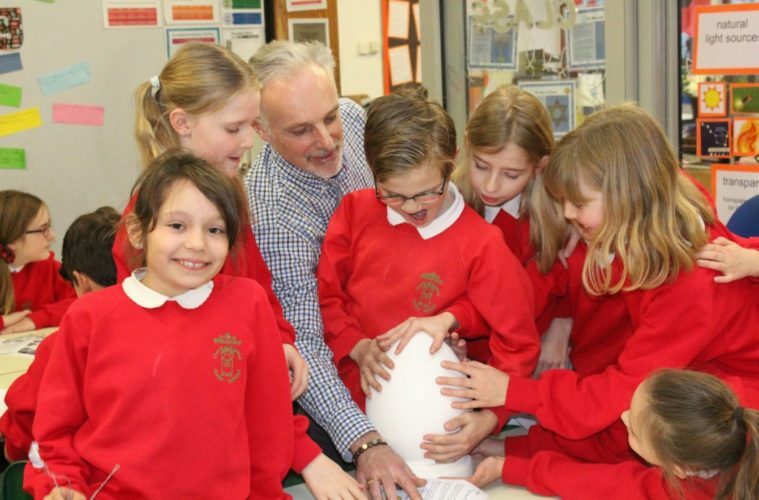 As well as featuring the work of local professional artists and designers, several of the Great Big Egg Hunt sponsors have worked alongside local schools, encouraging the pupils to work with them in designing and decorating the eggs. The schools involved include Widcombe Junior, St Andrews’ Primary, St Martin’s Garden, Royal High School, Bathwick St Mary’s School, Margaret Coates School and St Michael’s Primary. Thanks to the generosity of the sponsors, the pupils’ work will be seen around the city centre for the duration of the egg hunt. Maps will be available from the egg café between 13 April – 12 May. The hunt is free to enter, but small donations are welcomed, which can be dropped into the egg café when returning the completed map at the special post box in the egg café. All money raised will go towards the egg theatre’s bursary fund and accessibility fund, continually improving access and opportunities at the egg theatre. If the weather isn’t kind, or you’re unable to get to Bath this Easter, there is also the egg picture social media competition! This could be an egg drawing, painting or a photo of a decorated egg. Post your pix on Facebook, Twitter and Instagram using #greatbigegghunt. Helen Rich from Taste of Bath will be one of the picture competition judges, and prizes include a fabulous Taste of Bath hamper! The Great Big Egg Hunt will be launched on Friday 5 April, with all eggs and their sponsors gathering at the Roper Rooms at the egg theatre, before heading off to their respective homes for the duration of the Hunt. The Great Big Egg Hunt will take place around the city centre of Bath from 13 April – 12 May 2019.